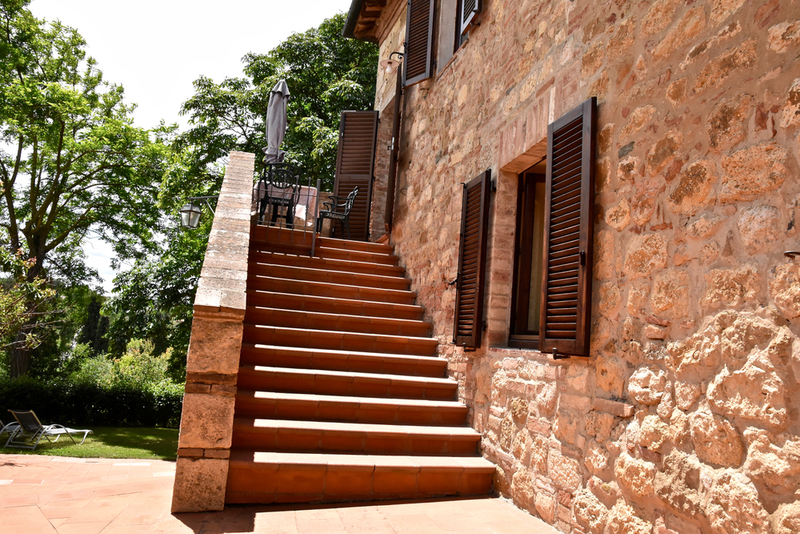 Located in beautiful Montepulciano, Sant'Antonio Country Resort is one of the oldest monastery and farm properties in Montepulciano. The Country Resort is heritage listed and as a result retains its original architectural design and beauty. 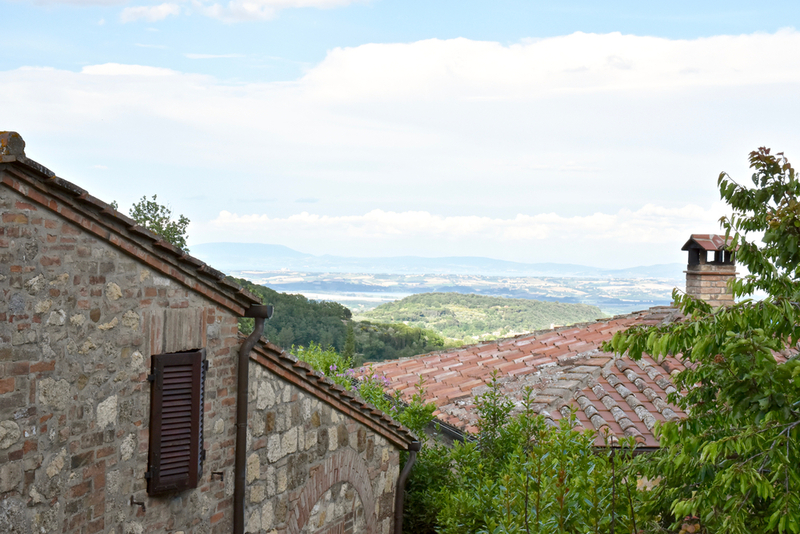 Each of the villas, cottages and apartments at Sant'Antonio are unique - differing in size, shape and layout ensuring you can find yourself the perfect fit. 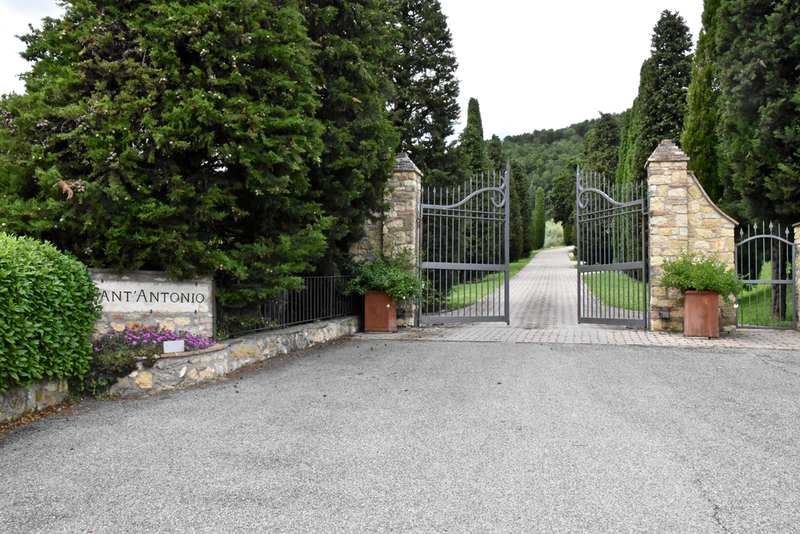 The 4 hectares of gardens boasts the most magnificent views and, as a result of the connection with the highly regarded Purosangue Athletics Club, Sant'Antonio benefits from a private running track and 2 mile trail on the property making it an ideal place for passionate runners and trekkers. Or if relaxation is more your style, there is also an 18 meter swimming pool which has an internal Jacuzzi. Owners Nico Pannevis and Elena Falvo's common passion for wine, food, enjoyment and travel has resulted in a country resort that is peaceful, beautiful, comfortable and exceedingly memorable. The pair are the perfect hosts and are able to provide deep local knowledge so that you can make the most of your experience. 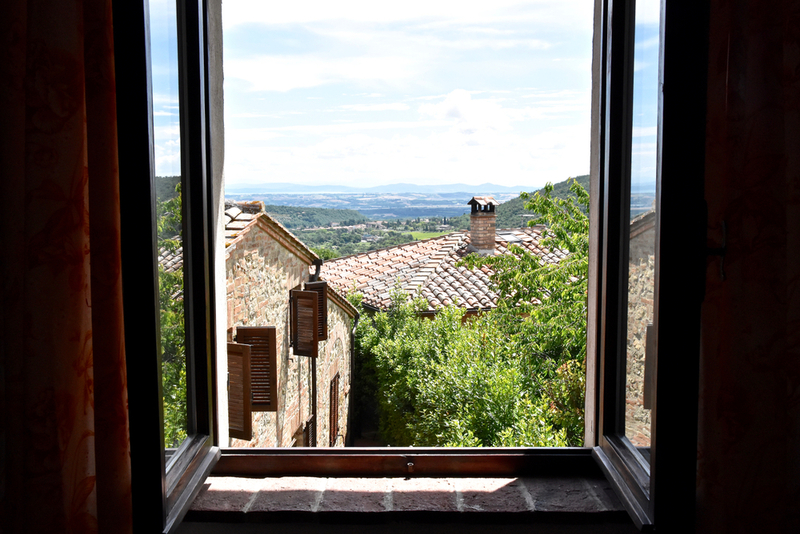 We loved staying at The Giotto, a Tuscan villa dedicated to Ambrogio Bondone an Italian painter and architect, best known by the name of Giotto. The terrace boasts a table for two allowing for morning coffee or an al fresco dining experience (you can read about our al fresco dinner below). The inside features a spacious lounge furnished with oak and comfortable cushioned sofas as well as an open fireplace which effortlessly heats the whole apartment. 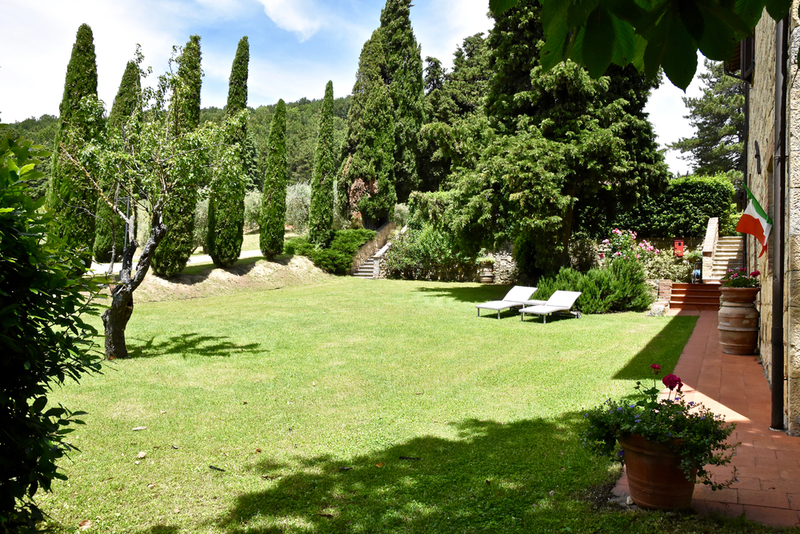 The villa is also equipped with a dining area furnished with a dark wooden dining table and chairs made from local cypress trees. 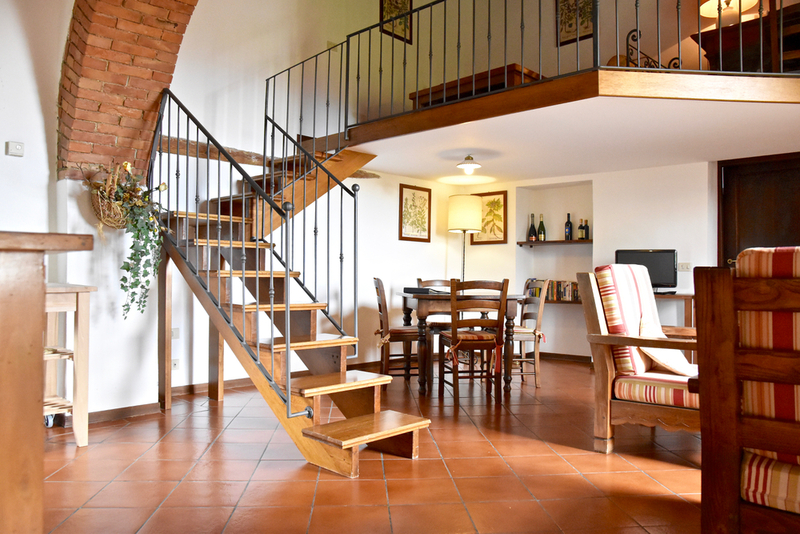 A wooden mezzanine furnished with a Roman chaise, writing desk and chair is located upstairs and is a great place to sit back and read a book while enjoying the Tuscan ambience. The fully equiped kitchen has everything you need to create your own Tuscan dishes. The bedroom was beautifully furnished with original 18th century furniture and a wonderfully comfortable bed. We loved the use of high quality Egyptian cotton and Italian fabrics in the bedding and linen as it definitely adds to the sense of comfort. The bathroom boasts a luxurious bathtub and double sinks so that you and your significant other can enjoy the bathroom together in complete comfort. And of course, there is satellite television to keep you up to date although we're not sure you will have time to watch it, given the magical surrounds. While you are enjoying your stay at Sant'Antonio we highly recommend indulging in a dinner with talented Tuscan Chef, Alessandro Piccinini. This was, quite simply, a truly magical experience. 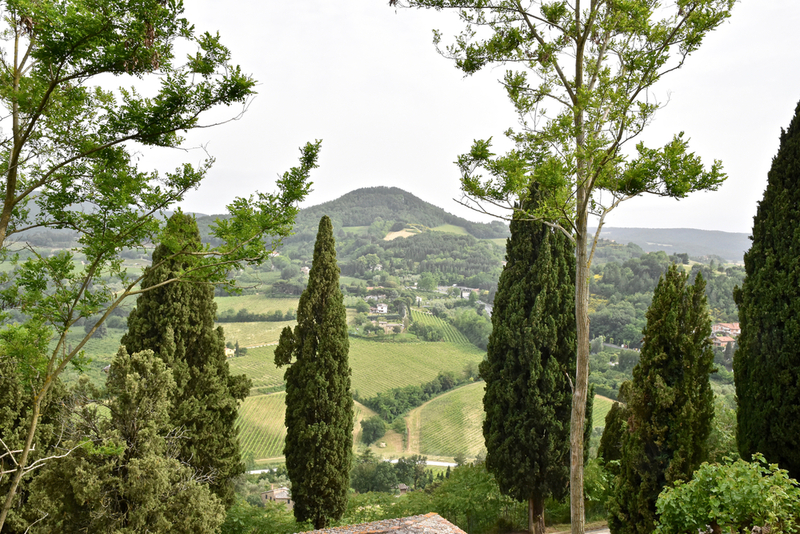 Alessandro is a private chef who organises lunches, dinners and cooking classes for small groups on vacation and local residents in the province of Siena, in the Val d’Orcia, the Val di Chiana and the Crete Senesi areas. Alessandro or one of his experienced chefs will come and cook on-site using the cooking tools available in your kitchen, serve the dinner, and clean up afterwards making it a truly indulgent experience. We absolutely adored the classic Italian dinner experience curated by Alessandro in our Sant'Antonio villa. Highlighting fresh locally sourced produce, the menu was excellent. From the beautifully fresh asparagus with onions and lemon zest, the homemade taglietelle with guinea fowl which was perfectly seasoned and the rustic and beautiful pork loin with mustard sauce, each course was delicious and well balanced. To finish, the mascarpone mousse with caramel and hazelnut was delicious, the caramel had the perfect hint of bitterness which added depth and complexity. 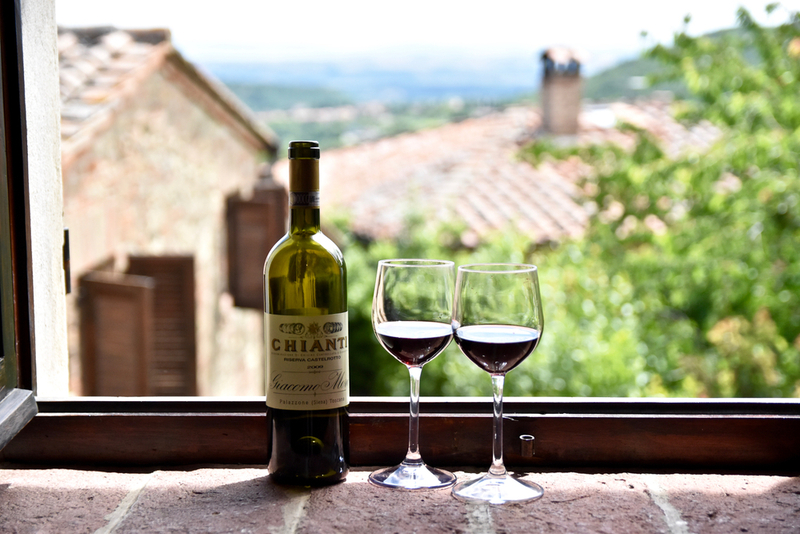 If you are looking for delicious Tuscan cuisine deeply rooted in Italian tradition and made with precision, this is an experience you should not go past.